December is always a busy month as studios try to fit in awards season favorites right down to the wire, but also see the holiday season as the perfect time to draw families in to see blockbusters. And next month we're looking at one of the busiest Decembers in recent memory, just looking at the major studio flicks alone. And that makes it necessary to do whatever it takes to get some elbow room from the crowd. A few days ago we learned Warner Bros. would be making Aquaman available to select fans a week early, and now today Paramount has done something similar with their Transformers spinoff, Bumblebee. You'll be able to check out Bumblebee for a special one-night-only event on December 8th, a full two weeks before it gets a full theatrical release. That's also well in advance of any press screenings, making this a pretty sweet deal. For the record, I've already bought my ticket and you can do the same by going to Bumblebeemovie.com now. 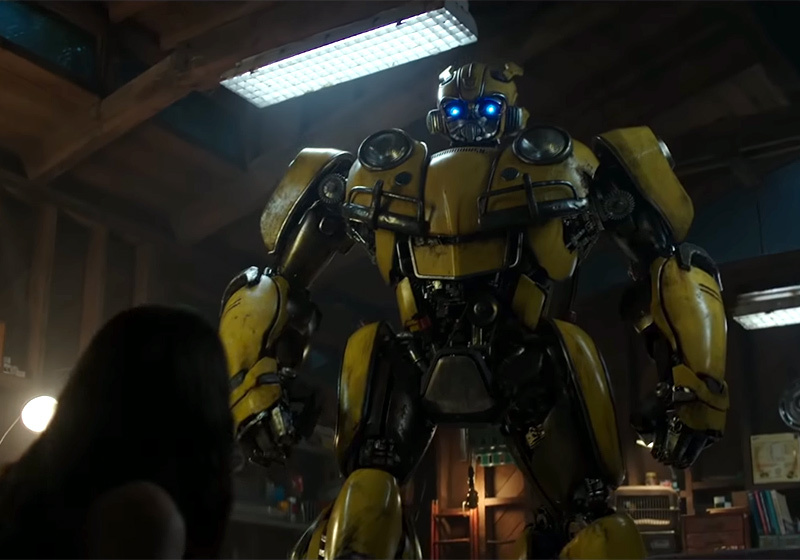 Bumblebee is a prequel to Michael Bay's Transformers flicks, and it will be directed by Travis Knight, best known for his stop-motion animation film Kubo and the Two Strings. With the core franchise in a rut, this film takes a lighter, more nostalgic tone, with Hailee Steinfeld playing the silent Autobot's friend who helps him foil a Decepticon plot. Bumblebee looks awesome to me, and like the live-action Transformers movie I always hoped Bay's would be. The film opens wide on the busy week of December 21st.